These high-performance tyres comply with all current standards for dry handling, wet grip, low rolling resistance and high driving comfort. The asymmetrical tread design, with four deep circumferential grooves, guarantees outstanding grip and boosts water dispersal, as well as improving braking and handling in wet conditions. 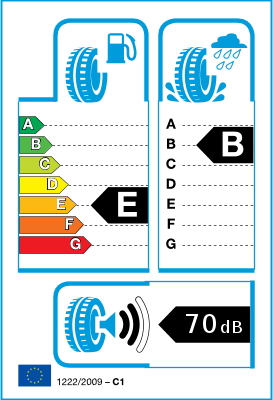 Falken tyres with the ECORUN label feature reduced rolling resistance. By reducing energy loss through friction, they save on fuel consumption - good for the environment, and good for your budget. Great tyres for the price. Nice looking tread and sidewall. Done 6k so far and still look in great condition. 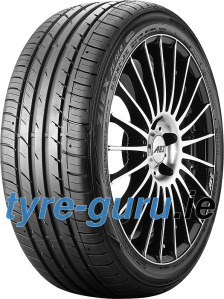 Good medium priced tyre, slightly noisy on poor road surfaces but fine on smooth roads. I have these on the front of the merc and the steering is good and I've never had any hairy moments even at speed around sharp bends.The tyres have rim protection which is a good thing. Much better that the Hankook Ventus V12's they replaced. A very good tyre imho. Good tyre. Wouldn't normally go for an eco tyre, but it performs well on the road. Not so good on a track day, but that's no surprise!